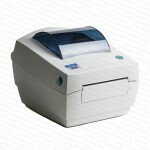 The Quick Check 600 Series is the best value ISO/ANSI method verifier from Hand Held Products. 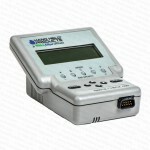 It provides full traditional and ISO/ANSI analysis, reflectance, and format tests. These models perform quick pass/fail tests or use more powerful measuring tools for highly detailed analysis. 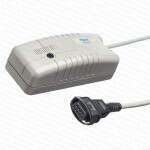 The unit is also RS-232 compatible and works with a Windows-based verification software package. Repeatability between units is outstanding, making the Quick Check 600 series an ideal choice for a standardized company-wide ISO/ANSI method verifier. The Quick Check 600 series meets the International Organization for Standardization’s “Bar Code Print Quality Test Specification (ISO 15416), the American National Standard Institute’s “Guideline for Bar Code Quality’ (ANSI X3.182-1990), the Uniform Code Council (UCC), and the CEN specifications regarding verification methods and methodology. It also meets International Organization for Standardization’s “Bar Code Verifier Conformance Specification” (ISO 15426-1).